Every little boy or girl loves to play with toys, however there comes a point in time when life takes over and all those much loved toys get lost in the attic. 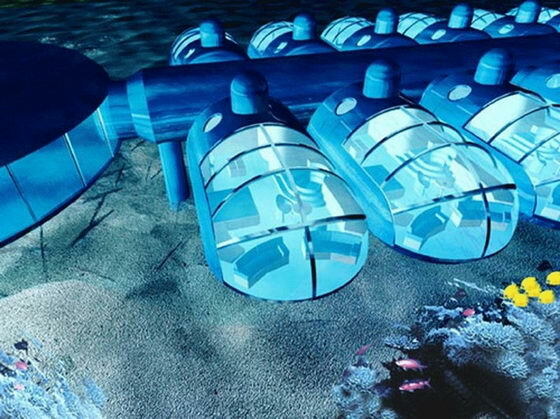 The Poseidon Undersea Resort from Fiji is the world’s first seafloor resort and the only place where you can spend a couple of days 40 feet under water in a luxurious environment. 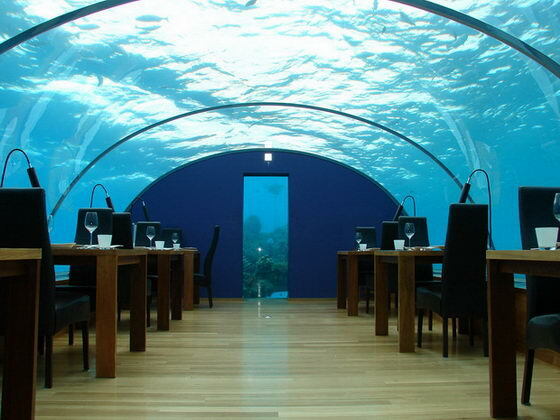 The resort is located in the crystal clear water of a 5,000 acre Fiji lagoon. [source]. 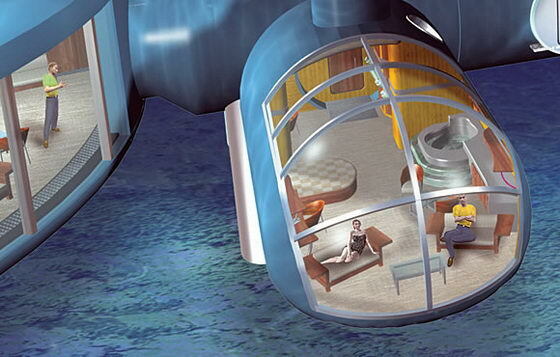 Guests gain access to their underwater suites through an elevator that transports them 40 feet undersea. 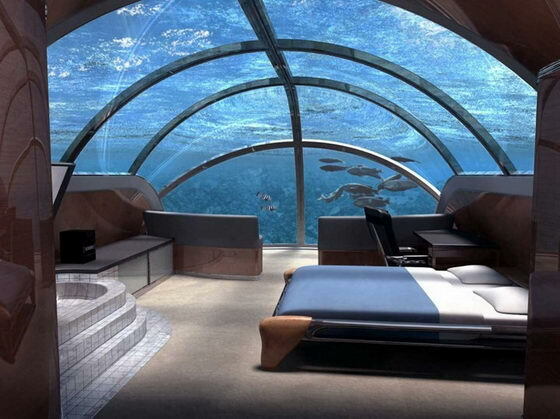 Approximately 70 percent of each room is encased with a 4-inch thick clear acrylic that allows vacationers to look out at the coral gardens that surround their room. 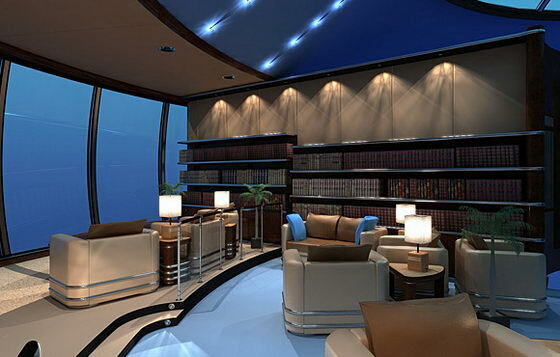 They can even interact with the marine life in the proximate environment. At the push of a button from their “control console,” guests can feed the fish around their suite. In addition to the unique living quarters, the resort boasts a number of amenities that includes a full-service spa, fitness center, and library. Sounds attemping? 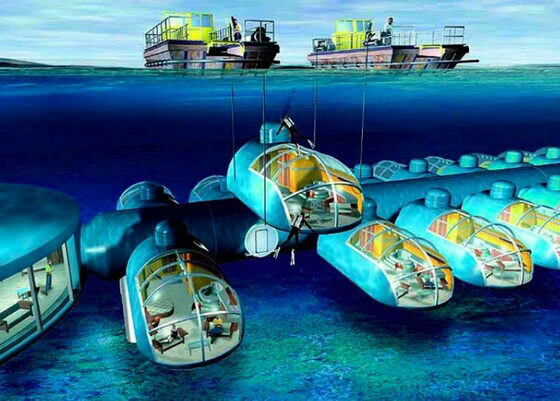 The price is cheap for this type of adventure: A week at the Poseidon Undersea Resort from Fiji costs $30,000 per coupe and it includes transportation from the International Airport of Fiji, four nights in a luxury beachfront or over water villa, two nights in a luxury underwater suite, diving onboard a luxury expedition submarine outside the lagoon and many more attractions.